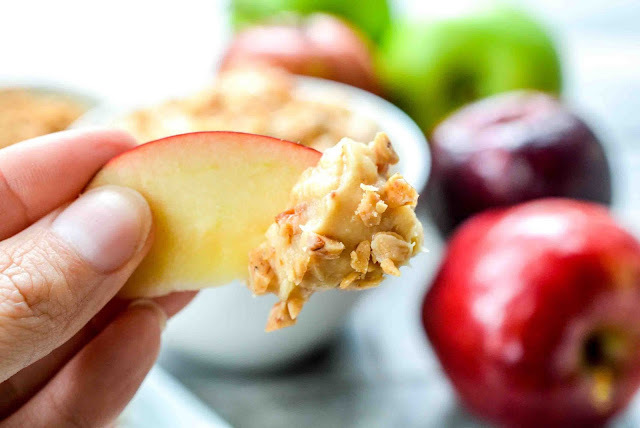 Theresa's Mixed Nuts: Creamy Toffee Apple Dip is Everything! 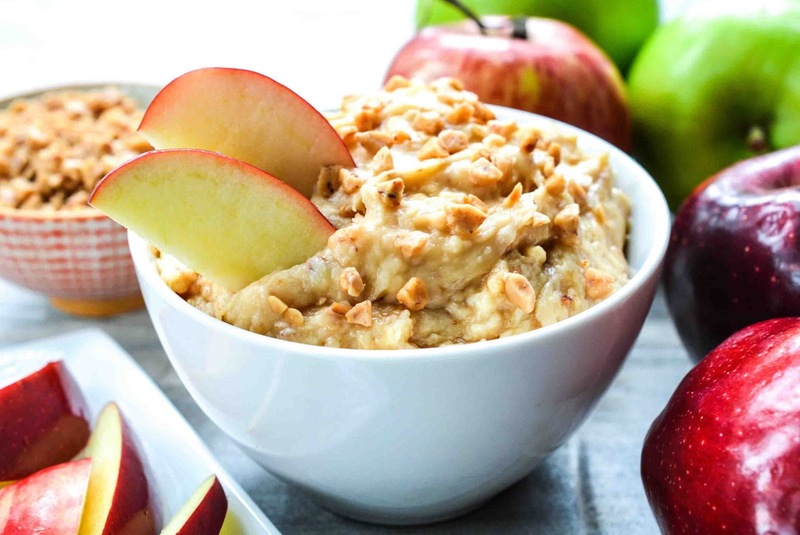 Creamy Toffee Apple Dip is Everything! Fall rocks with everything pumpkin and apple flavor, right!? Since Jason doesn't care too much for pumpkin (BOOOO!) I find myself baking with apples a lot this time of year. There's only so many pies and muffins and tarts a girl can take, so I came up with a delicious dessert idea that's so easy to whip up, and best of all, no baking is required. 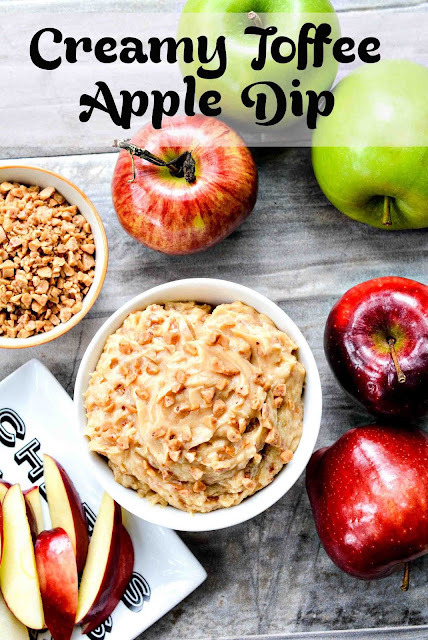 This apple dip is so creamy and delicious, I'm almost not ashamed to admit that when I got to the bottom of the bowl, I may have stuck my face in and tried to lick the remnants out. Yes, it's that good! Mix all ingredients together with a mixer. Chill in fridge. Serve with apple slices. Keep stored in refrigerator in an air tight container for up to 1 week. Easy peasy, and quite delicious! I think this would be pretty good on graham crackers and pretzels too! What are your favorite fall flavored dips? Wow - how easy is that? It looks and sounds awesome. I am totally making it for Thanksgiving this year. Me and sugar are good friends lol. mmmm this sounds heavenly--wish i already had some apples here!! That looks wonderful. I know all my kidos would love it. They would never eat a plain ole apple again. Caramel and apple go so well together! This is EXACTLY the type of recipe I've been looking for. Pinning it! I love the leaves underneath the dip bowl!! Thanks for the great recipe share. This certainly looks yummy Theresa! Newest follower here! I found you through the Friday blog hop. Cute blog, I can't wait to read more!